MEU team of HIMSR organized its first Revised Basic Course workshop (RBCW) in Medical Education Technology along with AETCOM sensitization program from 9th July to 12th July 2018, a 4 day program under the aegis of our Regional Center, MAMC, New Delhi. Prof. Devender Kumar, Convener, Department of Medical Education, MAMC was the MCI Observer for the workshop. A total of 30 participants, all faculty members of HIMSR attended this workshop. This four day academic program kicked off with an interesting and interactive session on Group dynamics facilitated by Prof Musharraf Husain, MEU Coordinator, HIMSR. This was followed by a session on Adult learning and system’s approach which was followed by the Inaugural function. 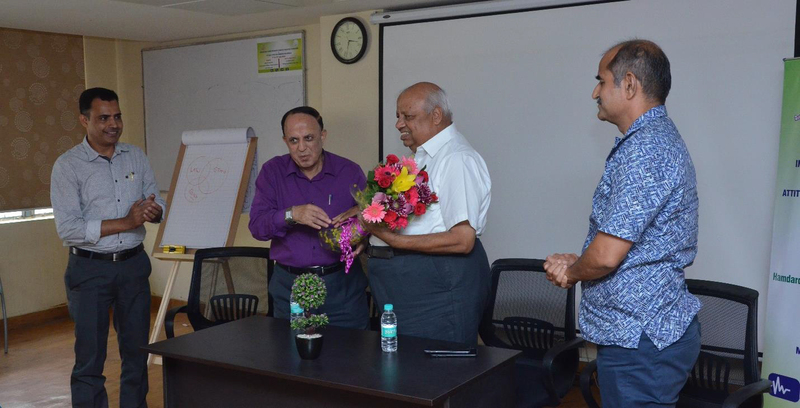 The occasion was graced by Prof. M Y Kharadi, Dean HIMSR and Medical Superintendent Dr. Ajaz A Mustafa. Prof. Musharraf briefed participants about the four days’ workshop and stressed upon the importance of faculty sensitization program. There were 20 sessions for RBCW and 6 sessions for AETCOM sensitization Programme covering all the topics as per the format of the Medical Council of India. 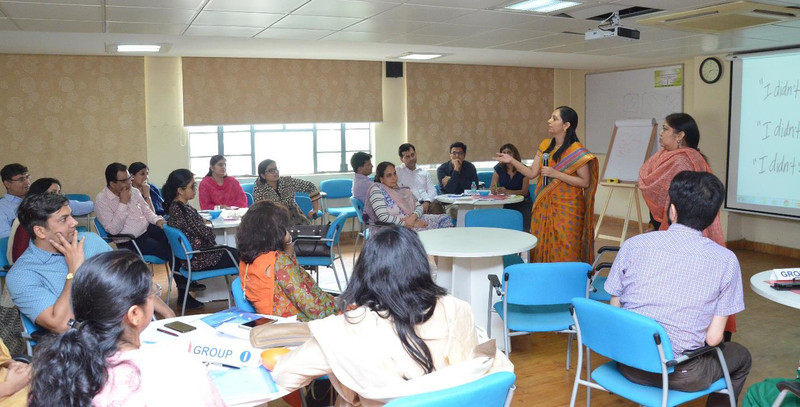 These sessions were conducted by five facilitators (Prof. Musharraf Husain, Dept of Surgery; Prof. Aruna Nigam, Dept. of OBG; Prof. Amit Sharma, Dept. of Forensic Medicine; Dr. Sabina Khan, Dept. of Pathology and Dr.Taskin Khan, Dept. of Ophthalmology ). All the sessions were highly informative and appreciated by the participants and the MCI Observer alike. At the end of the fourth day, Valedictory function was organized with , former Dean MAMC as the Chief guest. Dean, HIMSR, Prof. M Y Kharadi, MCI Observer, Prof. Devender Kumar, Coordinator MEU, Prof. Musharraf Husain along with other senior faculty members and HODs of various departments also witnessed the ceremony. The participants were addressed by the Chief guest, Dean HIMSR and MCI Observer. Few of the participants also shared their experiences of this four day workshop. At the end Certificates were distributed to all the participants by Prof. Aggarwal. The program concluded with the vote of thanks proposed by the coordinator MEU.